As You Sow is the nation’s leading nonprofit practitioner of corporate engagement and shareholder advocacy. Founded in 1992, we believe shareholders are a powerful force for creating positive, lasting change in corporate behavior, and we harness that power for the long-term benefit of people, planet, and profit. The unrelenting assaults on climate, the environment, and corporate accountability that now come almost daily from Washington seek to release corporations from the regulatory protections that ensure profits don’t come at the expense of human rights, clean water, clean air, or a livable climate. In this insane new world, shareholder advocates are one of the most effective forces for insisting that corporations stay on a path of forward progress — that corporate management resist the temptation to despoil the environment in the name of short-term gain — that respecting environmental protections is good for companies, good for society, and good for the economy. This has been a year of strong, persistent resistance for us, as for many, in the face of mounting threats to hard-fought protections that we once thought secure. As we celebrate 25 years of empowering shareholders and fighting for corporate accountability, we’re finding new ways to mobilize the shareholder community — with a new blog and a petition empowering asset owners to fight for their democratic rights. Our core engagement work continues, with the most active proxy voting season in our history driving corporations to adopt clean energy, reduce their greenhouse gas emissions, decrease use of antibiotics in our food, reduce toxic polystyrene foam packaging, benefits that accrue to us all. We produced four reports advancing public and shareholder understanding of key issues, and a undertook a critical expansion of Fossil Free Funds, to help investors make even more informed investing decisions about coal-fired utilities. Come to our event! On October 5, we’ll gather at SPiN San Francisco for As You Smash!, our 25th anniversary party. Between now and October, we’ll continue fighting to resist, counter, mitigate, and deflect the harm coming from the fact-challenged administration in Washington — we figure by October we’ll be ready to blow off some steam. Come smash some ping pong balls with us! This proxy season was nothing short of historic, with the most environmental and social resolutions ever filed and investor support at record levels. Shareholders achieved majority votes on climate change resolutions at Exxon and Occidental Petroleum — companies that have never seen majority support for any resolution — with unprecedented support from mutual funds like Vanguard, BlackRock, and State Street. The shareholder community is making its voice heard at an entirely new and courageous level — and As You Sow is leading the way, with over 50 resolutions filed and a strong public presence. Our resolutions accounted for over 10% of the 430 environmental and social resolutions filed, and we earned shareholder support totaling over $330 billion. We withdrew a record 21 resolutions in exchange for commitments for substantive action, as companies across our program areas chose to work with us rather than go to a vote. We secured tangible progress from companies ranging from Unilever (making all its plastic packaging recyclable) to Target (eliminating polystyrene foam as a packing material) to KFC, Wendy’s, & Burger King (sourcing only chicken not treated with medically important antibiotics); and on the energy front, from Southern Company (assess and disclose carbon asset risk information); NRG, Sempra, & Southern Co. (improve methane disclosures); and Morgan Stanley & Goldman Sachs (work with shareholders to consider energy projects’ impact on indigenous and human rights). That’s just the beginning — we’ll keep on pushing corporations toward business practices that are healthier, cleaner, more productive, and more efficient. The Financial CHOICE 2.0 Act, passed in June by the House and now advancing to the Senate, not only guts the Dodd Frank measures designed to protect consumers and prevent another 2008 financial meltdown, it also takes direct aim at the shareholder resolution process — we’re now fighting to defend our basic right to speak to corporations through shareholder resolutions. Resolutions have been a powerful tool in creating positive change at corporations, benefiting people and the environment while strengthening bottom lines. The #WrongCHOICEAct would restrict resolutions to shareholders who own at least 1% of a company — for the kind of companies we regularly engage, that means shareholders would have to own several billion dollars in one company’s shares, effectively eliminating the entire process. The #WrongCHOICEAct also seeks to repeal Dodd Frank’s conflict minerals disclosure rule, which would be a major setback to corporate transparency and human rights efforts. We are rallying shareholders to resist being silenced, keep corporations accountable, and demand that this channel of communication with the companies they own stays open and vibrant. In April, our Fossil Free Funds project combined forces with investment group Macroclimate to highlight 50 of the largest, most carbon-intensive coal-fired utilities. We’re making it even easier for investors and institutions to measure the climate risk embedded in their portfolios, to find out which of their funds hold the largest fossil fuel companies, and to aggregate and compare the overall carbon footprint of each fund — literally smokestack to smokestack. Check if your savings are invested in dirty energy sources, and find investment options that support a cleaner, greener future — stay tuned to see what’s in store next for Fossil Free Funds! As You Sow’s Waste program is on a mission to phase out polystyrene and its toxic impact on the world’s oceans — and we are getting big companies to step up to the plate. Polystyrene doesn’t degrade, it just disintegrates into smaller and smaller fragments, circling endlessly in the ocean. In February, we asked Amazon, McDonald’s, Target, and Walmart to stop using foam as a packing material. Back in 2013, we were instrumental in getting McDonald’s to stop using foam coffee cups in its 14,000 U.S. stores, but the company is still using foam in foreign markets — now we are pressing the company to take its foam cup ban global. April brought us great news, as Target agreed to engage its corporate peers on phasing out polystyrene foam packaging in online operations. We’re targeting McDonald’s too — back in 2013, we were instrumental in getting McDonald’s to stop using foam coffee cups in its 14,000 U.S. stores, but the company still uses foam overseas. Now we’re pressing the company to take its foam ban global, and at their May meeting, nearly a third of shareholders agreed! 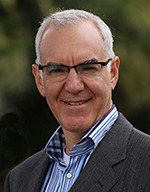 Carl has served on the Boards of the California League of Conservation Voters, Public Voice, National Clean Air Coalition, California Common Cause, Public Interest Economics Inc, and Zero Population Growth, but his longest-standing board service is to As You Sow — since 2011, a testament to As You Sow’s integrity and effectiveness. On October 5, we’ll be gathering friends, fans, and colleagues for a giant ping pong party at SPiN San Francisco, celebrating 25 years of protecting people and planet. Come SMASH with us! Modern slavery is shockingly rampant — estimates of people trapped in forced labor range from 21 million to as many as 46 million. Slavery is embedded in the supply chains of nearly every industry, making virtually every consumer and investor an unwitting participant and beneficiary. We’re tackling slavery in the cotton industry with an initiative that equips global brands to eliminate from their supply chains co on produced with forced labor. In May, we embarked on a fact finding mission for our YESS initiative (Yarn Ethically and Sustainably Sourced), visiting several spinning mills in India to learn about their cotton sourcing practices and how they manage their inventories. YESS is a practical tool to enable signatories to RSN’s 2011 Cotton Pledge — currently over 270 brands worth over $1 trillion in market capitalization — to move from a position of “not knowingly sourcing” cotton produced with forced labor to actively “knowing, and not sourcing.” As in countless other situations, in this case, knowledge is power. 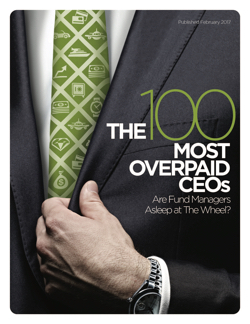 February marked the release of our third annual 100 Most Overpaid CEOs report. The biggest takeaway from our research is that overpaid CEOs appear to be a fundamental leading indicator of both future corporate risk and lagging shareholder return. In other words, pay does NOT equal performance, and overpaid CEOS can be really bad for business. Since we started doing this research back in 2014, the companies listed in our first report have underperformed the S&P 500 by 4%; the 10 companies that most egregiously overpaid their CEOs underperformed by 10%, with an aggregate return of minus 5% — yes, the companies with the most overpaid CEO’s lost 5% of company value. Overpaid CEOs tend to be insulated from shareholder votes because the majority of the large mutual funds and many pension funds rubber-stamp these outrageous compensation packages. The good news is that since we started reporting on this issue we are seeing movement — but not enough and too slowly. We will persist until we see across-the-board pay equity. As You Sow has been a leader in flagging risk and prompting energy companies to re-evaluate their business models as the energy market moves inexorably toward low carbon, renewable energy resources and technologies. We filed the first CAR resolution in 2013 and over 20 energy-based resolutions this year, consistently engaging with some of the largest energy producers — from Exxon to Southern Company — seeking recognition of risk and movement toward lower carbon, lower cost energy sources. Our energy resolutions this season focused on a range of issues, from carbon asset risk, to low-carbon transition planning, to increased use of renewables, to methane leak reduction, to reducing the harmful effects of coal on public health. Our work in flagging risk and demanding responsive action — in concert with a host of other shareholders, scholars, and experts — is beginning to bear fruit. The oil and gas companies we work with are internalizing the reality that recent low oil prices are not just a commodity cycle, but a sign of fundamental, structural change. We have helped drive utilities away from high risk coal resources toward greater adoption of cleaner, renewable energy sources. This work is not done, but shareholders across the world are joining us in acknowledging growing risk associated with climate change and demanding action from utilities and oil and gas companies worldwide. Antibiotic use on factory farms is a major contributor to the rise of antibiotic-resistant “superbugs,” a potentially devastating public health crisis. In a major victory for public health, following the filing of our resolution, KFC — the largest purchaser of chicken in the U.S. — followed Wendy’s and Burger King in committing to purchase only chicken raised without medically important antibiotics. Glyphosate is the world’s most used pesticide, a key ingredient in Monsanto’s Roundup®, and a recognized carcinogen detectable in a multitude of food products and in the bodies of our families and ourselves. Our new report, Roundup Revealed: Glyphosate in our Food System, focuses on glyphosate use; recent science on health harms; impacts on the food supply; and the wholesale failure on the part of regulators to protect public health. With this report, As You Sow is holding the powerful pesticide industry accountable. Our inaugural Clean200 list, ranking the largest publicly listed companies by their total clean energy revenues, enjoyed global media coverage last August. In February we published the first update, with 25 countries represented. 70% of the Clean 200 are Chinese, and Germany’s Siemens clinched the top spot. We’ll be publishing our next update this fall!